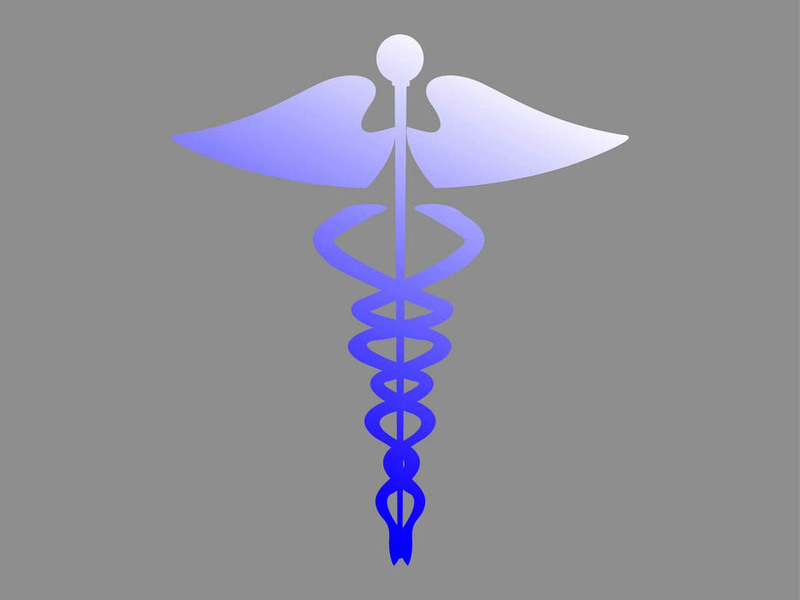 Medical vector graphics of a popular symbol. Gradient color silhouette of the Caduceus Charm. Snakes twisting and swirling their bodies around a thin pole. Wings and sun disc decorating the design. Free vector illustration for all your medical, medicines, medication, hospital and doctor design projects. Tags: Caduceus Charm, Hospital, Medical, Snakes, Sun, Wings.